charitable giving deductions. More to the point, he is surprised at what a cruddy job of soliciting most nonprofits do. The problem, of course, is more complex. Not knowing who this prospects are in one issue; getting in front of them is another. When I work with clients on planned giving, I generally suggest that they start a planned giving council comprised of local finance, law, tax planning and real estate professionals. These people would be recruited to help the organization develop a broader knowledge about planned giving vehicles and to help with the educational aspects of planned giving marketing. Being on the committee should not be onerous. 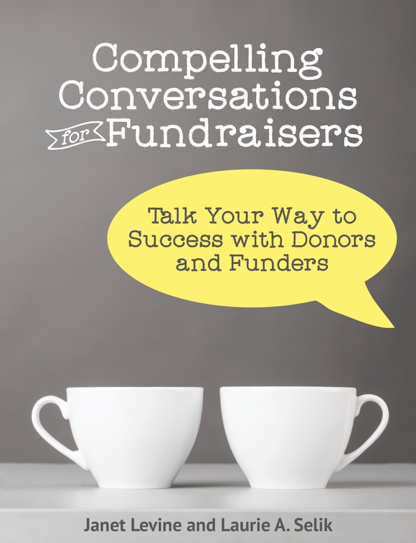 One or two meetings a year—mainly so they can network—and working with them, as much or as little as their time allows, to help your donors and their clients make wise charitable choices. It is this latter that brings it beyond planned gifts. As the manager of this group, you should be meeting one on one with each and every member at least once a year. In this way, they are a lot like your board members who you should also be meeting with annually. The purpose of that meeting is to acquaint them with your organization but also to get to know about their clients and how you might be able to assist them with their tax issues. Pulling this committee together, of course, takes a bit of work. But hey, what doesn’t? Start by pulling together a task force of your board members and major or planned gift donors to your organization. The purpose of this task force is to brainstorm names of professionals who would bring credibility to your planned giving program as well as those who work primarily with high net worth individuals. Then, much as you would do with a major gift prospect, identify the best person to open the door and work with that person to get an appointment with each prospective member. The purpose of this meeting is to begin building relationships and to explain the purpose of the council and why you hope this prospect will say yes. At the meeting you’ll explain: We are looking to recruit the most respected professionals in our community to help us ensure our organization’s future. We’ve begun a planned giving program and while we know that most gifts we ask for and get will be fairly straightforward bequests, we do want to make sure that we have access to information about and help with more sophisticated planned giving vehicles. That is the primary purpose of our council. We also hope that we can help you to help your clients with their annual tax needs. As you help us, we hope that we can also help you by introducing you to potential clients and giving you suitable marketing opportunities with our supporters. As with all you do, this must be an ongoing effort. The task force should be reconvened at least every other year to add new members, and you must be meeting regularly with those who have said yes to ensure that both of you benefit. This entry was posted in fundraising, Planned Giving and tagged donor tax benefits, helping advisors, planned giving council. Bookmark the permalink.